Have you ever started watching a recent K-drama and told yourself that you want that cute doll the main female lead has or want to give that to someone dear to you? But then you come across one problem as you’ve already searched every website and that merchandise you are dying to have is not available anywhere but in South Korea. As a K-drama fan from overseas, you want to know where you could get these items shipped to your doorsteps hassle-free. Before buying something based from a Korean drama, what we want to check is authenticity. You’d want to make sure that the product is not only of superior quality but also a licensed product. That means the show allowed the production of the idea for the satisfaction of its fans. This does not only apply to K-drama merchandise but also to everything popular Korea has in store for fans. Look no further as we are going to guide you through how you can get items directly from shops in Korea. Most Korean online malls, such as CJMall and SSG, only cater to people residing in South Korea and will require you to have a local mobile number. Basically, they don’t have an option for shipping overseas. Everything is in Hangul, the Korean alphabet. While we have Google translate, not every information can be translated word by word. So, what you want to have while shopping for your favorite K-drama merchandise is a basic knowledge of Hangul which is very easy to learn in this Wikipedia page and of course, the handy Google translate. Authenticity of a K-drama product is the main factor why we’re searching in Korean online shops. It’s also true that international websites such as AliExpress or eBay have vendors selling the Korean items you want but we regret to tell you that these sites have many vendors selling fake items and that’s what we want to avoid. The number one reason we’re shopping online is: It’s hassle-free, period. But what’s hassle-free about getting a fake item in the mail. 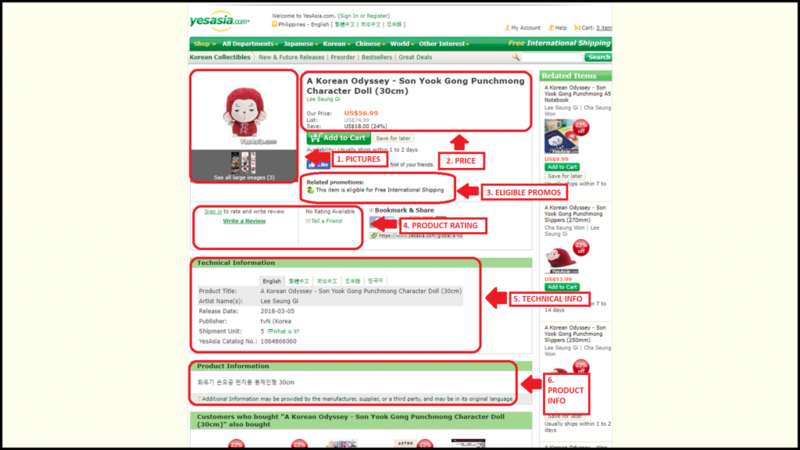 We know you want something that can guarantee you’ll receive a 100% legit product – then YesAsia is the place. The great thing about YesAsia is that it’s all in English. The site’s availability options for fans are ever accommodating. From the homepage, you’ll be able to choose from a wide variety of popular Asian goodies but as for this blog, we’re going to focus on how you can get K-drama merchandise from the website. Pictures – as a smart shopper, you want to check out product details and how it would look like on-hand. Price – it’s self-explanatory but what you want to look out for is how much the product is discounted which was not highlighted by the website. Eligible Promos – you also might want to check other promos the product is under other than the Free International Shipping promo. 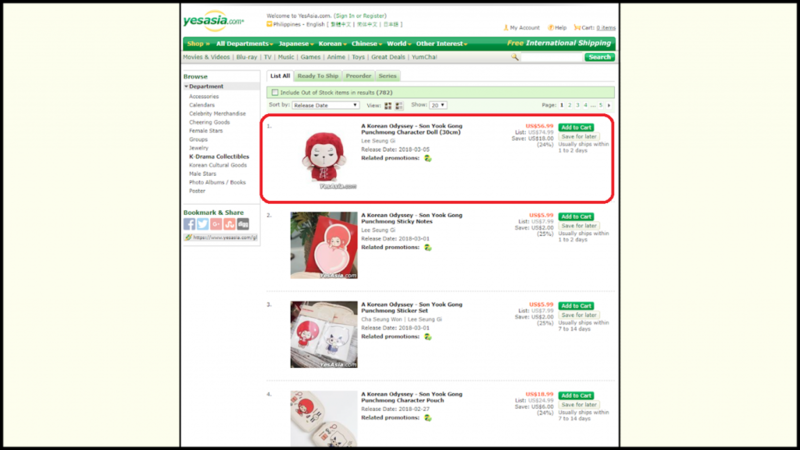 Product Rating – since YesAsia is already a trusted website, you only have to worry if the product is worth buying by reading its reviews. Technical Info – in this tab, you’ll be able to see the publisher or manufacturer of the product providing information about its authenticity. Product Info – all of the information you need about the product is in this tab however you might need help from Google translate since it’s in Hangul. 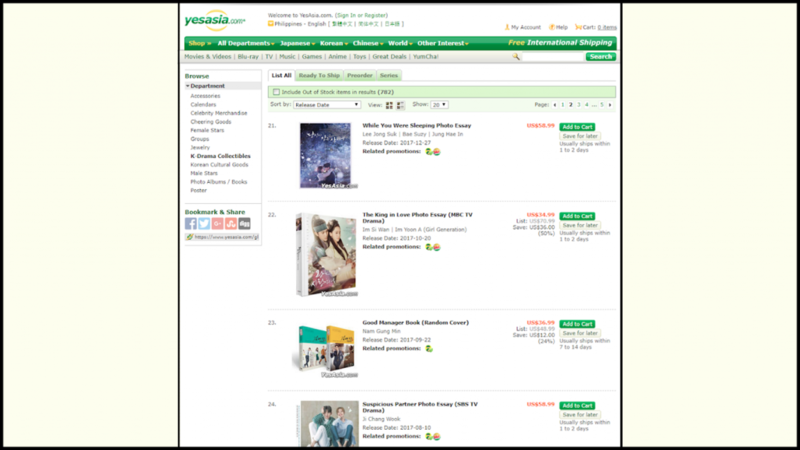 Indeed, the best bet for fans for buying K-drama or even Kpop merchandise would be at YesAsia as it is safe and provides the best service for product availability. 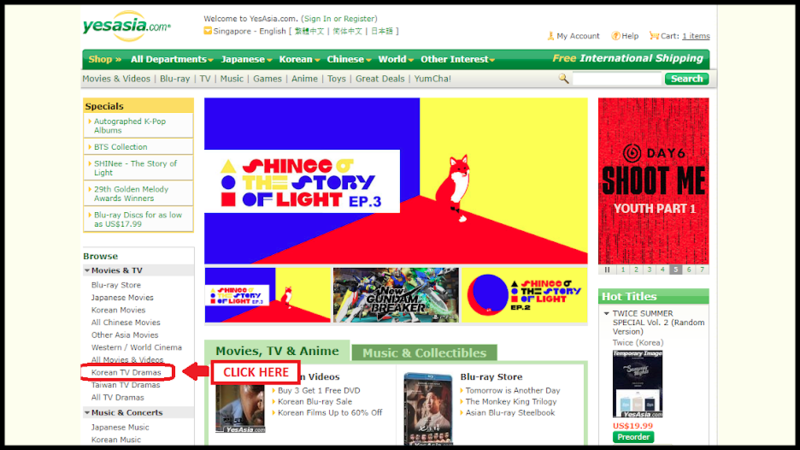 There can be no other website as convenient as YesAsia that sells K-drama goodies. If you are a fan who just can’t wait for a merchandise to release on YesAsia, you might want to buy directly from vendors in Korea. You might think buying from eBay is an option but that website just has too many vendors selling fake merchandise in it that it’s hard to trust other vendors as well. 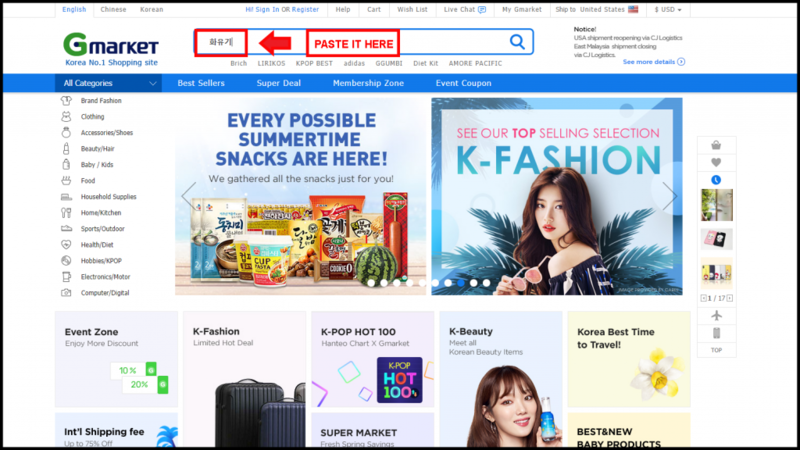 There are several Korean online shops out there that offer international shipping and good news as we’re recommending you go over at Korea’s No.1 Shopping site – Gmarket. Gmarket Global is an e-commerce platform like eBay and it is indeed, a brand of eBay Korea so the vendors are mostly from Korea and there are information about the vendors as well as shipping options whether the item can be shipped overseas or not. Though you might think it just works like eBay but what you want is a website that caters Korean items. 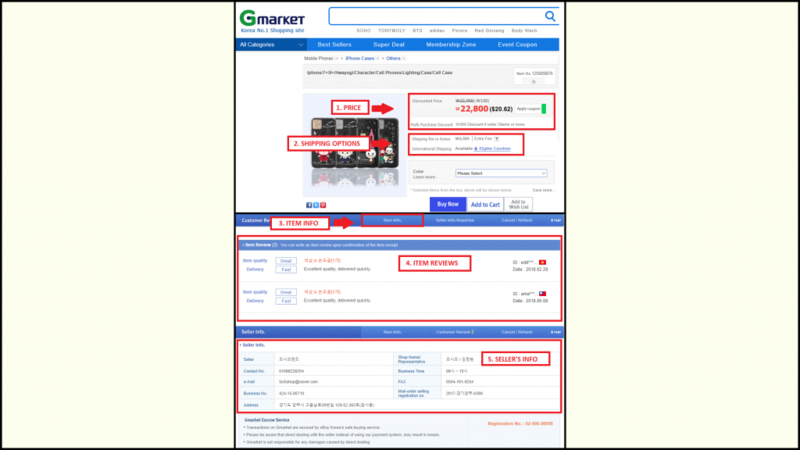 Gmarket provides the information you need to make sure the product ships from Korea. 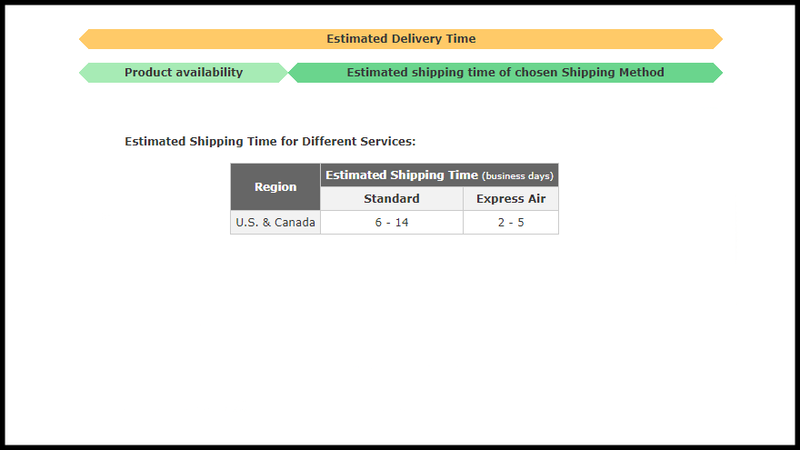 International shipping should be ticked as Available for fans overseas. Scrolling down the page, you’ll also be able to see the item information which should include pictures of the item. 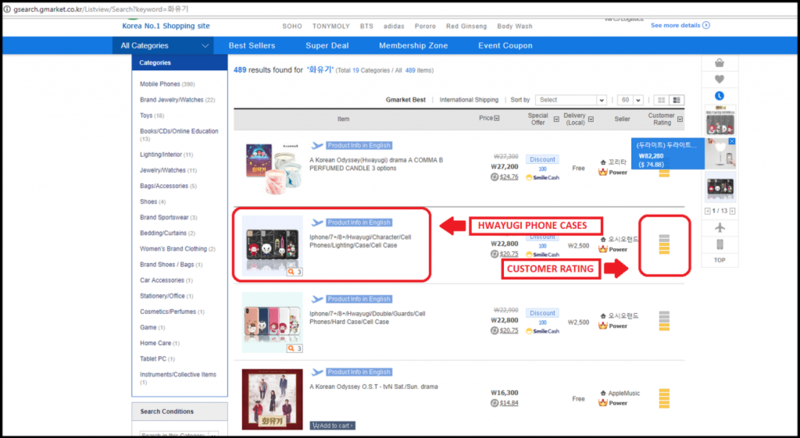 When buying from websites with platforms like Gmarket, always check for seller ratings as well as item reviews. Though this may not be enough information for checking the authenticity of the item, you may check the manufacturer on the item information tab. 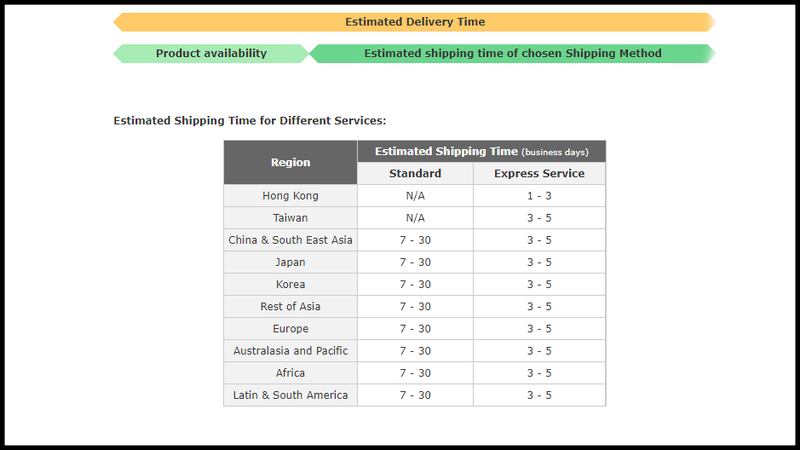 As for this specific item, we can confirm that the item will be shipped from Korea by a local seller. All we need to do is select a color, click Buy Now, do the usual checkout procedures, and VIOLA – you have bought an item from Korea. Be sure you are already registered before clicking Buy Now though. Now if you’re looking for a different item, you’ll just have to follow the same pattern as we did. 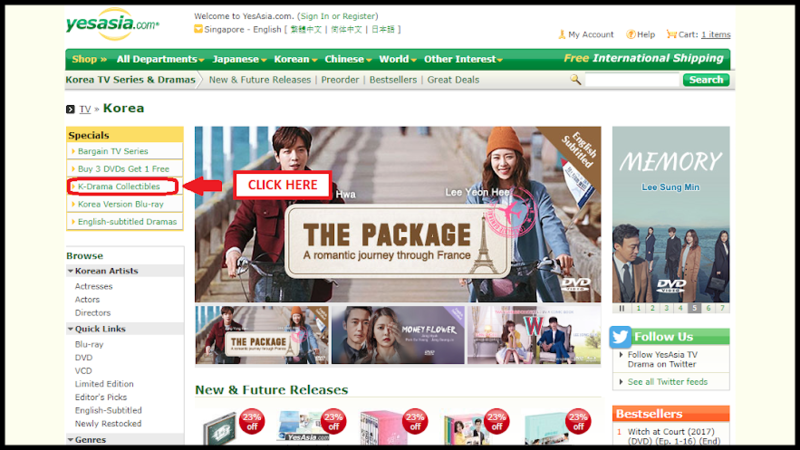 It’s a good thing that Gmarket is available in English for overseas K-drama fans. Fans get to experience shopping Korean goodies at ease. To be honest, the registration process is very easy and that what we really need to note about is how to find out if the product is authentic. As for Korea’s No.1 Shopping site, we can’t deny that there may be fake items for sale in the website but it’s much safer searching in a Korean website rather than finding yourself looking in AliExpress – So no, just, no. The purpose of searching in this website is that you lessen your chances of receiving fake items and ending up getting disappointed for the money you lost and the time you wasted waiting for the item to arrive in the mail. Don’t be surprised if you’re seeing a lot of Hwayugi merchandise since the show became popular in Korea despite it being aired in a cable channel, TVN. In collaboration with CJ O Shopping, the adorable characters by Studio Dragon became popular across the globe. Now, only the universe can tell how many manufacturers from China are out there to show us their fake plushies. Usually, fakes are cheaper compared to legitimate items and as an ultimate K-drama fan, our ability to judge Korean merchandise by its price should be top-notch. There are fakes out there claiming that the product is only “inspired” by a K-drama but little do fans know that the designs were copied and that is indeed, copyright infringement. Now, let’s look at how we can test our skills in judging K-drama merchandise by its price. Park Min Young wore these jewelries in the drama. By the way, details of the drama can be found at MyDramaList. The difference between the price tag are far from one another. 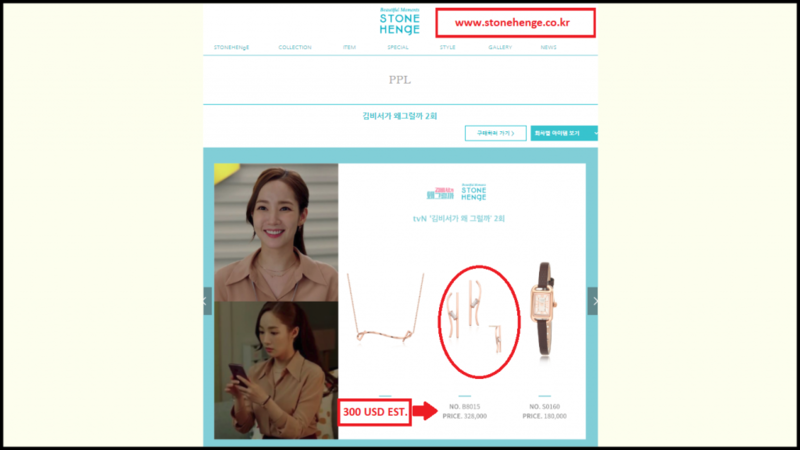 You’ll also notice that the images from the fake earrings were grabbed from the source website, STONEHENgE, for an attempt to deceive fans. Unfortunately, you’ll only be able to grab these if you’re residing in Korea. We looked this up from a Chinese e-commerce website. The seller is insisting that the signatures are 100% authentic – yeah, right. There aren’t any reviews on the product as well. It’s a book filled with pictures from the drama. 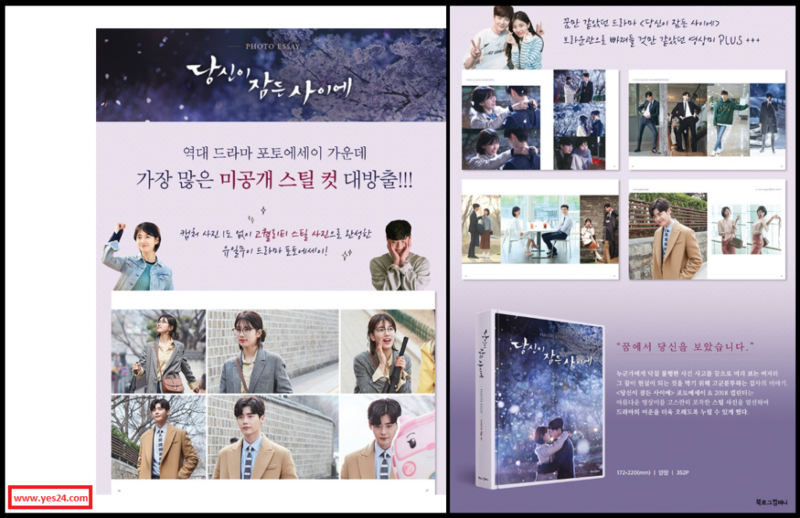 You go through the pages reading the story-filled pictures as if you’re rewatching While You Were Sleeping hence, where the book got its name, a photo essay. 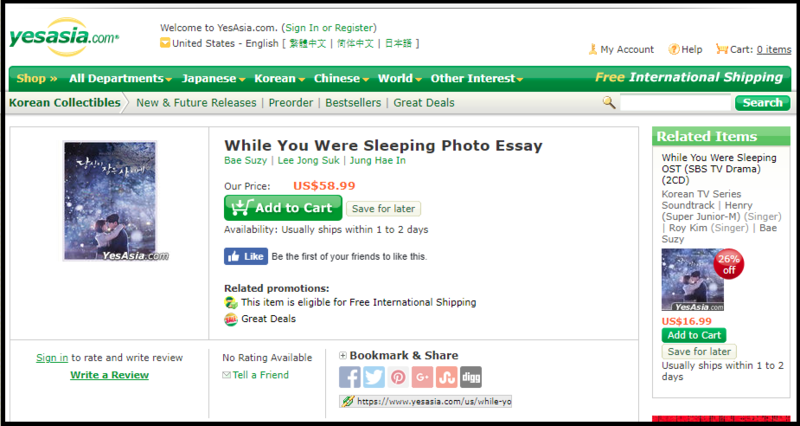 Luckily, this photo essay is available at YesAsia for $58.99. Grab it and take advantage of that free international shipping! Avid fans of K-drama should always get the official merchandise as you will always get your money’s worth and through that, you express your love and support for K-drama. Bottomline is we want to get ourselves to feel the world we watch in K-dramas. Getting the real and official items should get you that K-drama feels, no doubt. 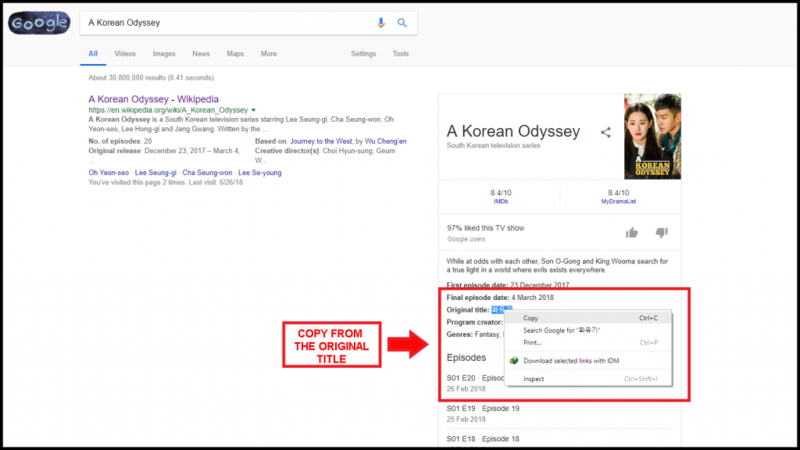 Hopefully, we’ve given you some good points on how to get your legit K-drama goodies and speaking of legit, visit our GET-DRAMAS page for legal VODs in your country!